The digital clamp-on ammeter for frequency-converter F3N is applicable for measurement of electricity and frequency (1000 A and up to 10 kHz). Even distorted signals, e.g. 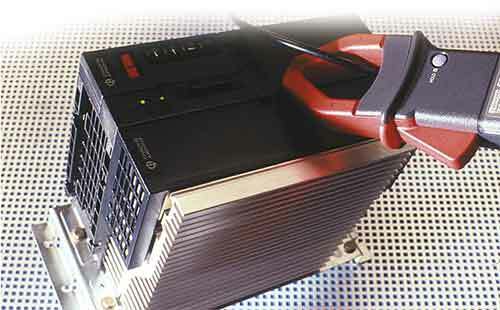 at inverters, speed regulators, thyristor- controlling systems, switching power-supplies can be measured by the digital clamp-on ammeter for frequency-converter F3N. The clamp-on ammeter is a solid solution to measure alternating currents in true-rms, whether they are sinusoidal, distorted or with arbitrary wave-shape and frequency. 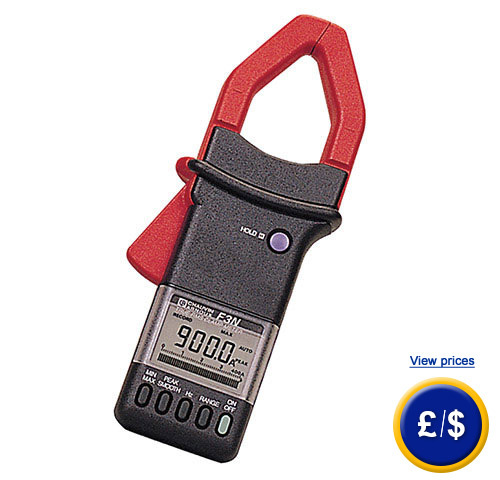 The digital clamp-on ammeter measures directly and without any service interruption. The measurement of electricity-peak values is achievable in 1 ms (PEAK-function). Within 3 seconds the clamp-on ammeter is able to smooth values for electricity as well as for frequency by an attached SMOOTH-button. Due to an easy handling of only 6 buttons the relevant value-display can be stored via the HOLD-button. The digital clamp-on ammeter for electronic frequency converter F3N the peak value, the minimal value and the average value are storable as well by pressing the HOLD-key. The detection of harmonics is possible as well. If there are any questions about the digital clamp-on ammeter have a look at the technical specification below or call: UK customers +44(0) 23 809 870 30 / US customers +1-410-387-7703. Our technicians and engineers will gladly advise you in all digital clamp-on ammeter and all products in the field of measuring instruments, regulation and control and scales. - Direct measuring, without service interruption.